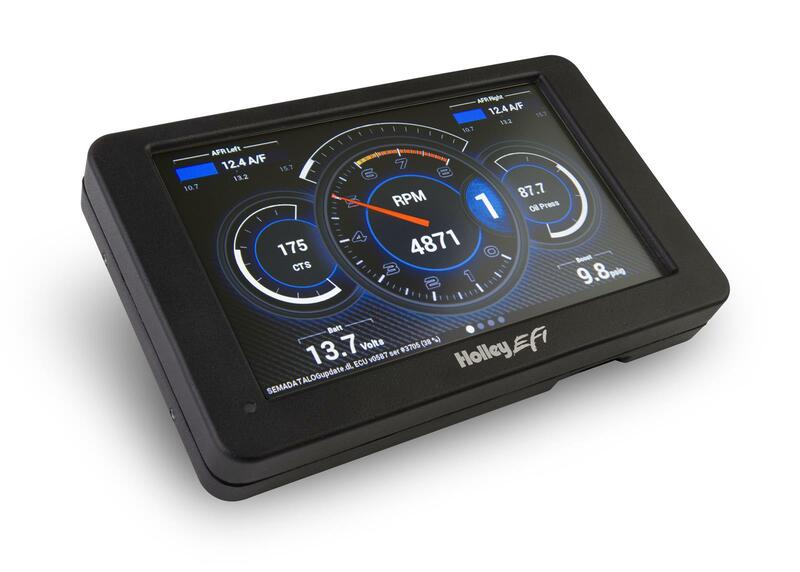 The Holley EFI Digital Dash measures 7.5" wide, 4.625" tall and 1" deep which makes it a compact, customizable dash for use in a variety of motorsports applications. The Dash features a 7" low glare, high brightness, high contrast, full color touch screen for easy viewing even in full sun, plug and play connection to all Holley EFI systems as well as a weather proof aluminum housing featuring flexible mounting options. Monitor the power of your Holley EFI system at a glance!